One of the most looked forward activities during the holiday season is the traditional decking of halls. It’s a tradition that’s begged to be enjoyed with a cup of hot chocolate, while Christmas carols fill the background. 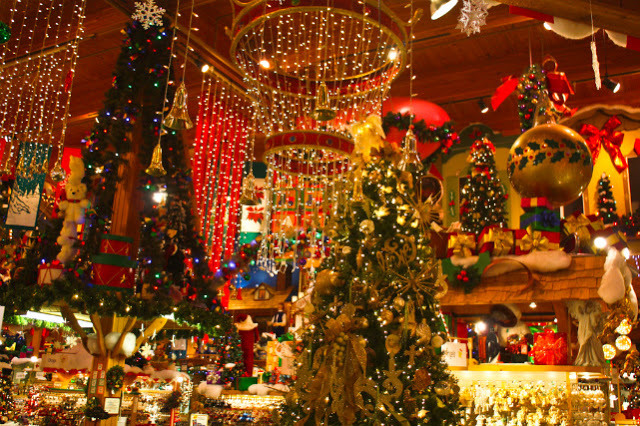 But somehow, it’s also a bittersweet practice, knowing that—after you’ve put up the decor and appreciate all its glory—you’ll have to disassemble everything and store them back into the basement until the next Christmas. But, wait… who said you can only use your Christmas lights and giant candles on holidays? With a little creativity, you can use the following Christmas decor items to suit all seasons all year round. Those twinkling string lights you used to wrap around the Christmas tree can be repurposed to suit as home decor even after the holiday season. 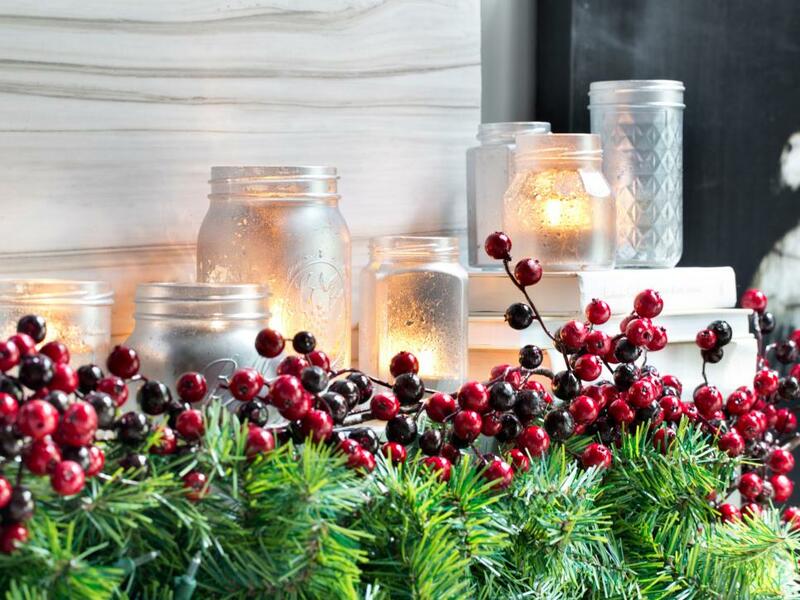 You can light up your headboard with it or fill up a mason jar to serve as a lighting table centrepiece. During the holidays, we usually put candles inside these glasses. After Christmas, replace candles with something more versatile, such as driftwood, colourful stones or even the string lights from your Christmas tree. The braches you used to hang Christmas balls and ornaments can have another purpose. Use them to hold little trinkets like keys and photos. You can also put them in a large vase and place them near the doors, beside the TV or in any corner of your home. White candles are common during this time of the year, but they can also be appropriate for other occasions, such as the Halloween. Whether yours is in gold or silver, you can reuse it as an additional decor to your parties. It would look perfect over a bar cart or a cocktail buffet table. People instantly associate green and red with Christmas. For your holiday decor to work anytime of the year, separate these colors and sprinkle them tastefully around the house. Boxwood topiaries and wreaths are traditional holiday decor. Looking stellar with big red bow on Christmas, it looks just as pretty with linen accents after New Year. Got some excess Christmas candles? Spray paint its candle holders to match the season. You can always switch colors to make them look new again throughout the year. Even burnt light bulbs from your Christmas lights can be repurposed to serve as a year-round decor. One way to reuse them is to transform them into colourful bowl fillers. Simply coat the bulbs with all-purpose glue and then dip them in glitter. Once dried, place them in a bowl to serve as coffee table centrepiece. 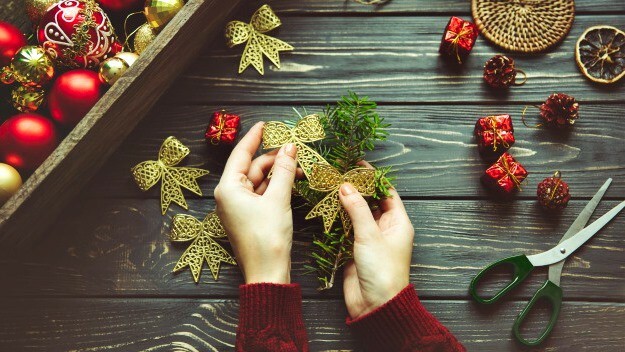 Get creative and save a bit of Christmas in your home all through the year with these unique decorating ideas. When the months hit “ber”, that means Christmas is coming. Here in Singapore, as early as September, Christmas preparations are underway. This goes to show that Singaporeans love the holiday season. Who would not love Christmas? The sparks and colours are treasured by children. The festivities and gatherings are prized by adults. Christmas is indeed a celebration for all. For this Christmas, what are your plans as a family? You may decide to stay at home and cook good meals. You can also decide to visit your relatives outside of Singapore and spend the Christmas there. Families have their own Christmas tradition but it would be great to spend it now at the Gardens by the Bay. 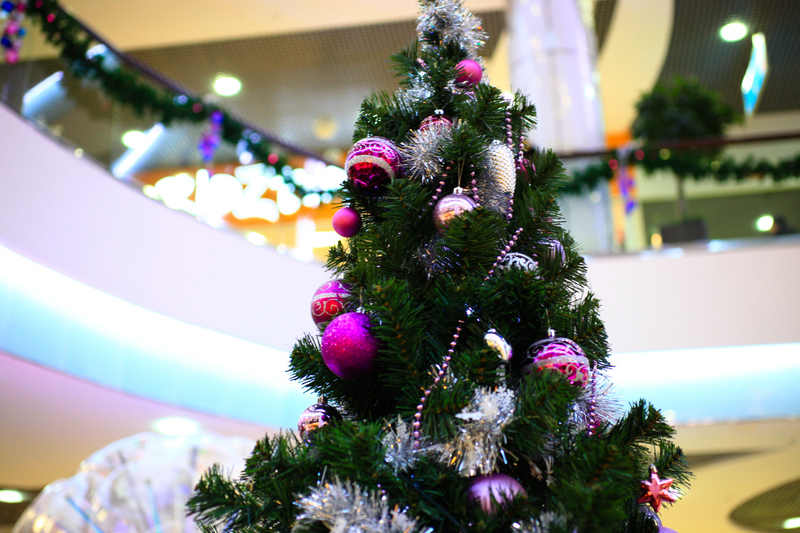 Gardens divulged their plans for Christmas. Budget: The management hopes that Christmas Wonderland will become an annual event. For the event to happen, the management allocated about a million dollars. The event will cover the main entrance of the Gardens. It will also cover the Supertree Grove and the Flower Dome. In total, it will cover about 18,000 square meter of the Gardens. Highlights: Christmas Wonderland will be open to public on November 29, 2014 to January 1, 2015. You will be glad to know that what you will see will be the first in South East Asia. There’s the Luminarie light sculptures from the south of Italy. These light sculptures are Baroque inspired. There will be thirty installations of pieces spread all over the Gardens. Watch out for the Spalliera, the largest of all light structures which will be nestled in the Supertree Grove. You should also watch out for the Spiegeltent. This is a tent that will offer dining experience; it will feature a thousand pieces of stained glass, mirrors, wood and canvas. 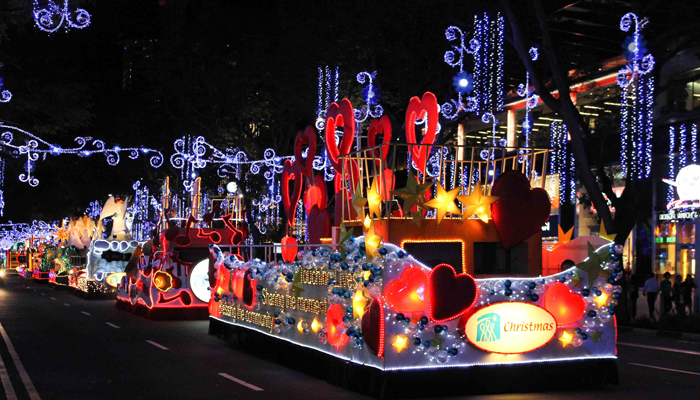 Festive Market: Like the Winter Wonderland Christmas Market in London, Singapore will also feature Festive Market. Festive Market will consist of twenty five wooden huts for visitors who are looking to get Christmas goodies and delectable foods. 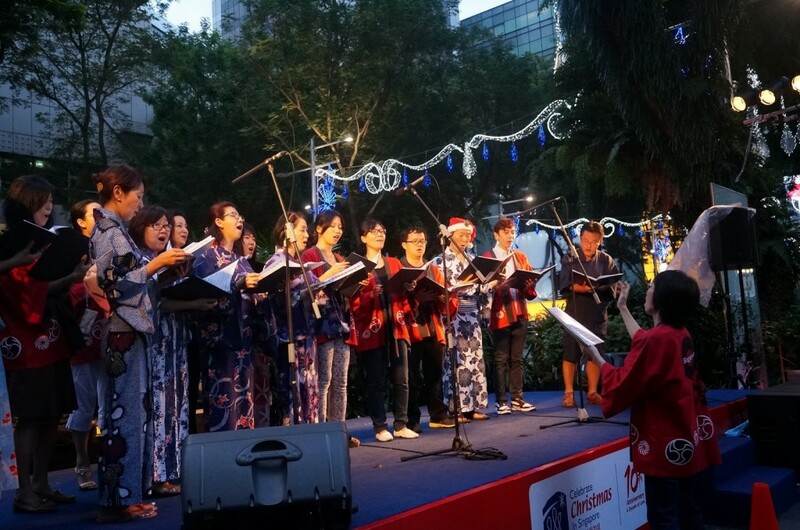 Choir programme: Christmas will not be Christmas without carollers. There’s the 12 Days of Choir programme that will croon visitors around the area. This will be enough. For sure your Christmas will never be the same. The good thing is that the admission is free. You can invite your relatives abroad so they too can witness its grandeur.